[From 14-Jun-2012] Good tool! 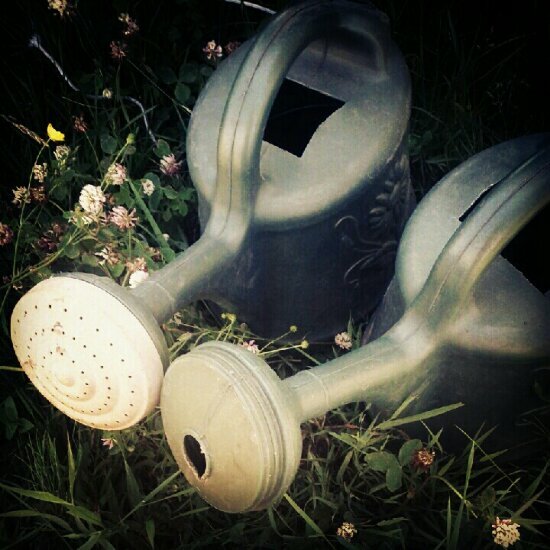 These watering cans have been all over—seedling room, greenhouse, field—for the last few years, near perfect for hand watering missions. Five bucks, plastic construction means they’re lightweight, two gallon capacity is decent amount of water that’s still easy to handle, even with one in each hand. The spout cap pours a nice, heavy shower for speed and unscrews for cleaning and for filling smaller containers. I cut square holes on top for quick plunge filling from open barrels. Great!